My mother has a problem keeping her countries straight. She was saying something about a country with levees and dykes, and thought it was Denmark. I know they have some there, but I'm quite sure the country famous for their dykes is The Netherlands. I can understand where a stupid American can get mixed up when it comes to this country. The people/things from there are called Dutch. 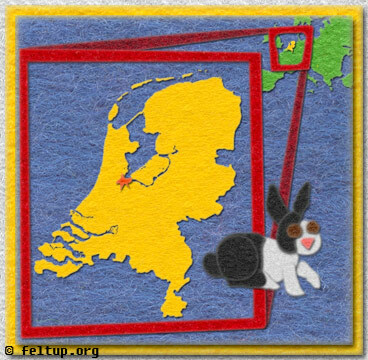 There's a region within it called Holland, which some people think is the entire country's name. It's capitol is Amsterdam, which is also not it's own country either.. as my mother later suggested was the country with the dykes. One word of Dutch origin is "cookie". The suffix 'ie' is added to words in the Dutch language to indicate 'small'.. Cookie essentially means "little cake". That means Mookie (whose breed happens to be Dutch) is a little mook.